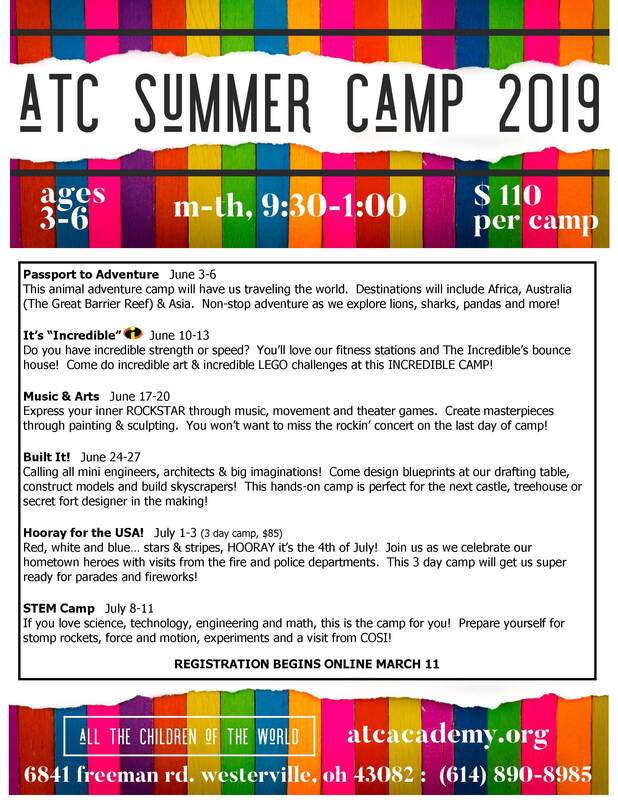 ATC offers six Summer Camps. Each camp has a unique and fun- filled theme. All camps run from 9:30 AM - 1:00 PM and are for children ages 3-6 (potty trained). Non-ATC families welcome! A weekly academic enrichment program for students who have completed kindergarten, designed to keep skills sharp over the summer. This program meets Tuesdays from 2:00 PM - 4:30 PM throughout the summer.